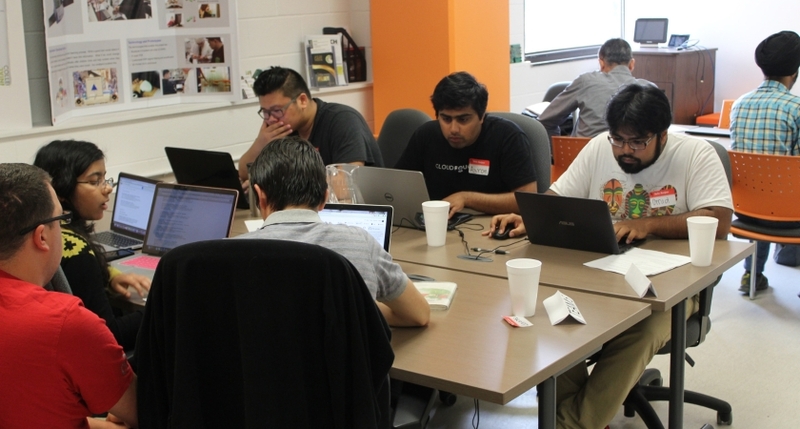 Six teams of Centennial College Software Engineering Technology students toiled for 36 hours to create new software applications as part of the college’s latest “hackathon” held on July 7 and 8 at the Wearable, Interactive and Mobile Technology Access Centre (WIMTACH) at Progress Campus. Facebook Messenger Bot for Event Support Services is a bot capable of interacting with Facebook users to manage specials events, such as a conference or a concert. Users can ask for help, directions, event schedules, announcements and other services specific to the event. Students utilized Facebook’s Bot For Messenger API and natural language processing to provide a productive and useful navigation flow. Students Harshil Mehta, Yashkumar Patel and Shivam Patel came up with the best app to win the category. © 2019 Centennial College. All Rights Reserved. Terms and conditions.